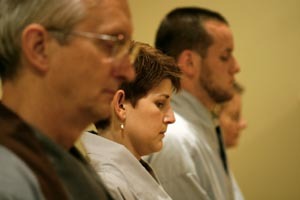 When we practice meditation with others, our mind habits and opinions become clear and we can begin to let them go. Then, our inherent compassion and wisdom can support us in developing helpful relationships with everyone we meet. **Kong-an interviews second Wednesday of each month. If a teacher is there for extended practice on Saturday there will be Kong-an interviews. But that is not a guarantee. Please don’t expect interviews on extended practice Saturdays. For any practice or retreats, please know that we respect people’s judgement if they choose not to travel for safety reasons due to conditions. We try to follow the Town of Topsham when it comes to inclement weather. If there is a parking ban in Topsham, then practice for that night is likely cancelled. Please check Topsham for parking bans.